The holistic development and happiness quotient of the people are the main ingredients of Gross National Happiness. This unique approach focuses on development, measures prosperity through the spiritual, physical, social & environmental health of its citizens and natural environment. Happiness is both means and end in itself. The nine domains of GNH are the important parameters to be considered for quantifying happiness & well-being from the Bhutanese content. Psychological well being: This refers to how people evaluate their lives. The internal experience of individuals and their own perception of their lives. This is directed towards individuals and definitely has beneficial consequences. Standard of living: This refers to the material basis of well-being, which is reflected in the consumption level of an individual. This is one of the important determinants of happiness, primarily because improvement in the living standards is directly related to the conscious and sub-conscious level of happiness. Good Governance: This is aimed towards enhancing the wellbeing and happiness of the people. This definitely has a cumulative effect on the society at large. The Happier the people with the governing of the kingdom, the happier will be the productivity and well-being of the people. Health: Undeniably, the health of the people is closely and largely, most important feature of GNH. They say health is wealth. This holds true for any and every individual. 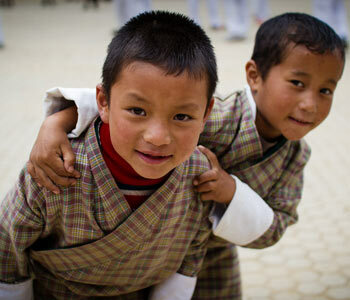 The Bhutanese truly believes that happiness is the result of good health. Health definitely includes mental as well as physical health. Education: An educated society is definitely an evolved society. Education plays a big role in the knowledge, values, creativity, skills, human capital, and civic sensibilities of citizens. It enables efficient and wise decision making, and boasts of a mature economy, and impacts the quality of life of an individual. Community Vitality: The interaction and relationships within the community are essential parameters of a strong economy. 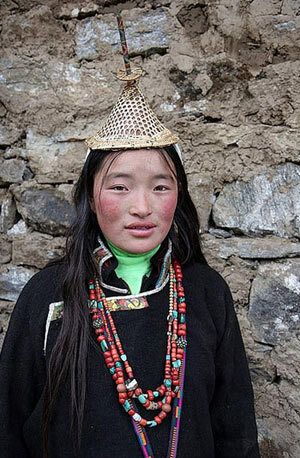 For the Bhutanese, religious, culture and traditions are a strong binding factor for inter-community quotient. Cultural diversity & resilience: This can be understood as the cultures capacity to maintain and develop cultural identity, knowledge & practices, and able to overcome challenges & difficulties from other norms & ideals. The key role of culture is to install values for the full development of an individual to meet the spiritual & emotional needs, to tone down the pace of modernization according to the needs & wants of the economy, to protect the country sovereignty, and to develop resilience, and promote diversity. Time use: This is a limited resource, as we only have twenty four hours in a day. Time is money, and it is up to us how we make use of this resource. This definitely has economic & social implications on the society at large. Making the best out of the limited time is like contributing to the productivity of the economy. Ecological diversity & resilience: According to the constitution of Bhutan, every Bhutanese must �contribute to the protection of the natural environment, conservation of the rich bio-diversity of Bhutan and prevention of ecological degradation including noise, visual and physical pollution�. The Fast pace of urbanization, but naturally has positive as well as negative effects on the people. Therefore, it was incorporated in the constitution for the people of its economy to be conscious and making it indirectly imperative as a domain of the Gross National Happiness of the people. Representing good life for Bhutanese, objective of this holistic approach was conceptualized to create a balanced development in all facets of life, which is imperative to the happiness of the individuals.